Domestic Violence Prevention – Youth Street Action, Bulgaria – DOZ e. V.
The Bulgarian organization Zavodzaidei in partnership with Erasmus+ Program organized a one week training for youth representatives from EU countries on Domestic Violence and Youth Action empowerment in this field in Asenovgrad in Bulgaria from 01st to 10th of March 2017. 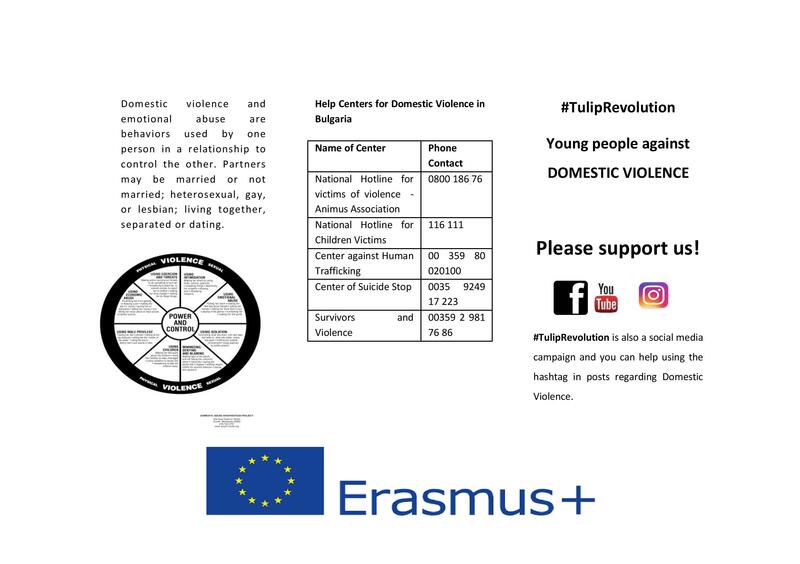 The 10 days training included presentations, dialogue rings, workshops, field and school visits, cultural nights, and online awareness campaign called #TulipRevolution to counter domestic violence in EU countries through youth actions. 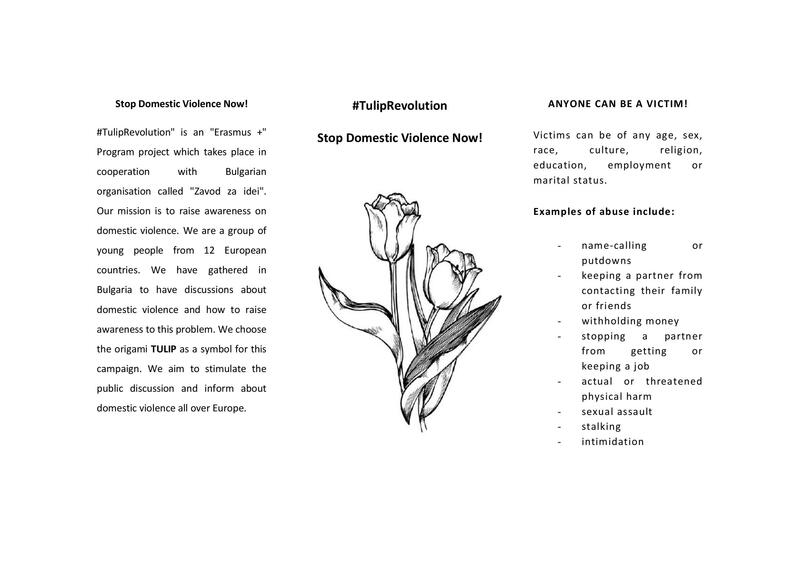 One of the filed actions was to distribute Tulip flowers in the city of Asenovgrad by youth participants to local community and distribute a brochure about domestic violence’ definition and measures how to counter it at home or in public. 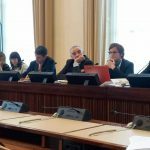 Particpants of the training come from various youth organizations from EU countries those who are in the Erasmus Plus Program. 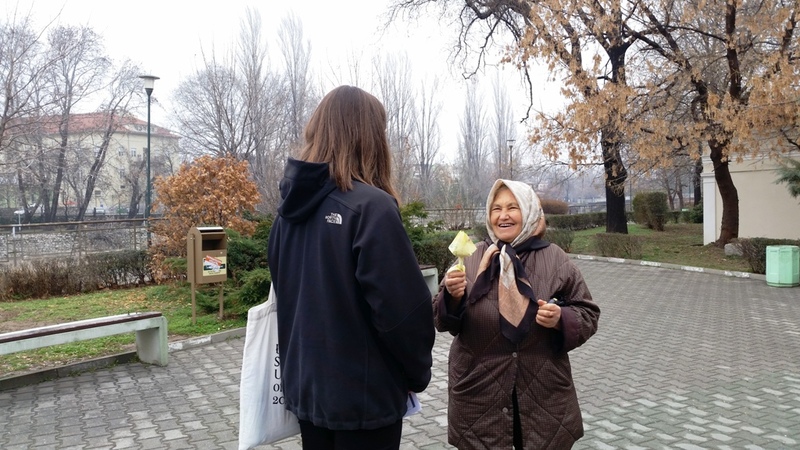 From Germany two participants took part in the trainings and activities in Bulgrava delegated by the German organization Mostar Frieden Project. The organizers of this program in Bulgaria from Zavodzaidei organization showed a high professional level of flexibility in their training’s methods and provided a great input to enrich the skills and knowledge of participants about Domestic Violence in Bulgaria and EU.